A brand new parallel G9 ½”S boiler to the original Derby design is being made for 'The Unknown Warrior'. This is the type originally carried by the LMS Patriot class when new and was a development of the Claugton boiler which became known as the enlarged Claughton boiler. 18 Patriots were later rebuilt with a Stanier 2A taper boiler and other modifications. However, the LMS Patriot Project is building 'The Unknown Warrior' with the original parallel design, as shown below. The boiler is a traditional boiler with copper firebox and screwed stays. 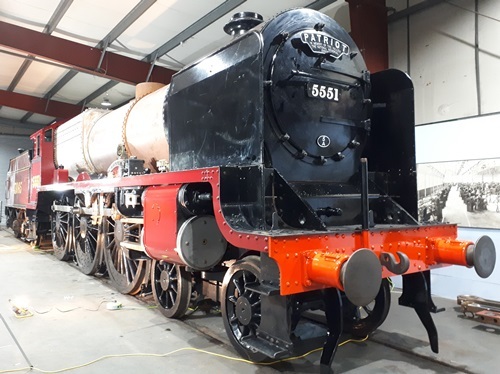 At the 2010 LMS-Patriot Company AGM, it was announced that LNWR Heritage Ltd. (based at Crewe Heritage Centre) had been chosen as the preferred builder for the new boiler. 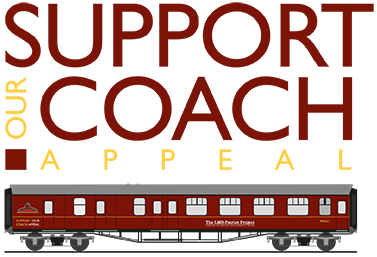 LNWR Heritage (supported by Tyseley Locomotive Works) worked to manufacture and assemble the boiler until 2017, when they decided to cease all third party contract work, to concentrate on their own locomotive fleet. In late 2017 the work to complete the boiler was taken on by Heritage Boiler Steam Services a specialist company now based in Huyton, Merseyside.